Adobe Premiere is a professional and feature-rich video editing tool that enables you to turn your videos into Hollywood-style trailer in minutes. In the latest Premiere Pro CS6, it also adds the native support for AVCHD files. However, many users still complained that they had problem to import their shot AVCHD files to Adobe Premiere Pro. What’s the matter? The reason is that your AVCHD file may contain some codecs that is hardly recognizable by Adobe Premiere Pro or its resolution is not configured to Adobe Premiere. If you happen to run into such incompatibility issue, you'll get an easy and quick solution here. 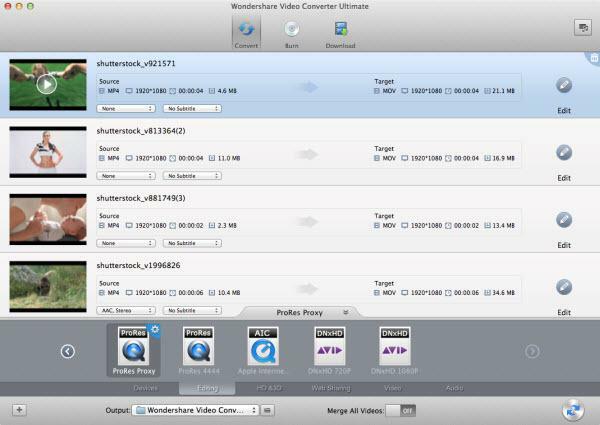 Wondershare UniConverter (originally Wondershare Video Converter Ultimate) is tailored to make all popular video formats compatible with your Adobe Premiere, iMovie or Final Cut Pro. 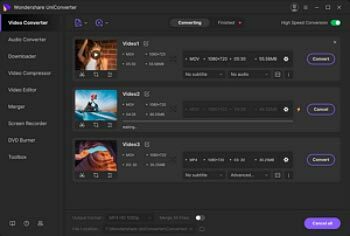 With it, you’ll keep the best quality after conversion, and won’t encounter import problem for editing AVCHD files with Adobe Premiere any more. Now free download its trial version and walk through the detailed guide below. Note: This program is cross-platform. Its Mac version shares the same feature to Windows, and below guide takes the Windows screenshot. This program can directly support your camcorder. Just connect the device to Mac, and then run this program. After a while, you'll see your camcorder files, shown as follows. At this time, select the files you want, and then click the "Load" option to import them. Click the format icon on the bottom of program pane, you'll have a bunch of options to export your AVCHD file. You may understand that WMV, or MPEG-2 is editable format in Adobe Premier. However, your 1080P AVCHD files is usualy encoded by H.264. If you just choose the common video output, it will reduce the quality a lot. 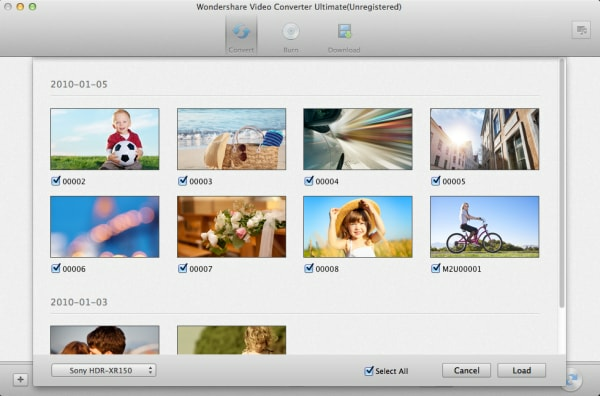 Thus, Wondershare UniConverter for Mac (originally Wondershare Video Converter Ultimate for Mac) provides the native codec: ProRes or DNxHD, which ensure the best quality and easiness for editing in Adobe Premier, no matter you're running CS3/CS4/CS5/CS5.5 or the latest CS6. Now you come to the last step, hit the Convert button to kick off AVCHD to Adobe Premiere conversion. This program is highly efficient, and if your orginial AVCHD file is encoded by H.264, then you can activate the ultrafast conversion, up to 30X faster than other converters in Mac. Now, you can deal with the converted files smoothly in Adobe Premier Pro. Congratulations!